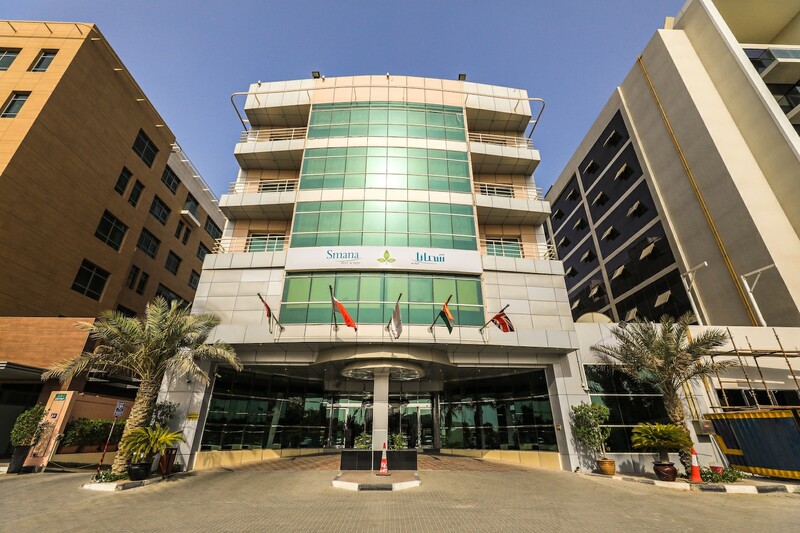 Smana Hotel Al Raffa offers a palatial stay and is located in Al Raffa in Bur Dubai. The hotel is designed tastefully with plush furniture and beautiful interiors. Enjoy the luxuries of the hotel room equipped with modern wooden furniture. The walls are decorated with beautiful paintings. There is a small seating area in the room where guests can relax and enjoy the city views from the huge windows. Various modern amenities are offered in the room. The tastefully designed in-house restaurant and bar offer tasty meals for guests. Well furnished and beautiful banquet hall and conference room in the hotel can be used for functions or meetings. There is also a swimming pool where guests can enjoy and relax. Various other amenities offered here include free Wi-Fi, power backup, parking facility, card payment, gym, wheelchair accessibility and laundry service. CCTV cameras ensure security of your stay here. Sky Garden- Hilton Garden Inn, McDonalds and Chinese Village 2- Sea View Hotel are some of the famous restaurants located near the hotel offering lip-smacking dishes to visitors.